A Great Year for the Development Tournaments! The sixth and last Development Tournament of the year was a total success. It counted with the participation of 117 junior players and was celebrated in the facilities of the Crissy González in Guaynabo and the Complejo Deportivo Municipal of Caguas. The categories of the tournament was 10U, 12U, 14U and 18 and under, all intermediate and beginner levels. As results, in the Girls branch Paola Muñiz defeated Amanda Sofía Díaz 4-3, 4-2 in the final of girls 10 and under. Lauren Ariza after a losing the second set, could close the game in the category of 12 and under dominating Mariana I. Pamias 4-3, 1-4, 1-0. 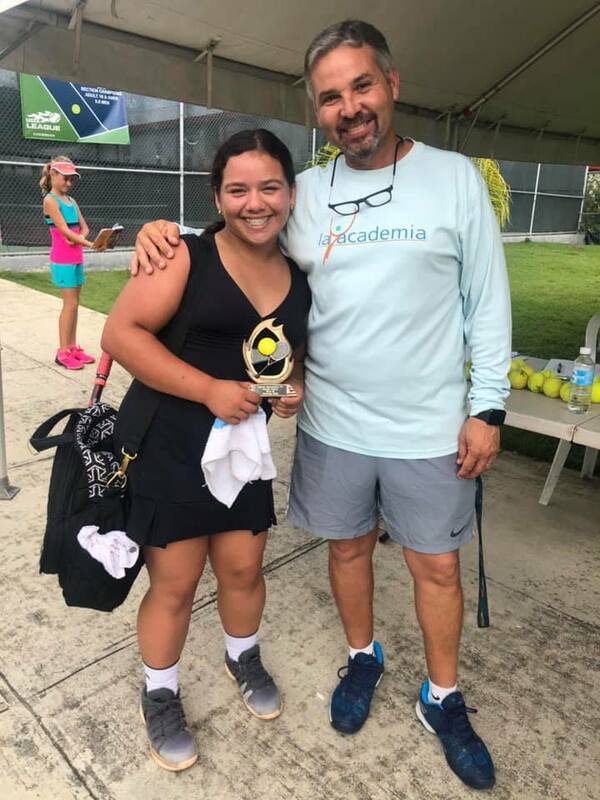 In the 14 and under, Leiah Arroyo did the same to beat Valeria Almeda 4-1, 4-2 while Alanis Rivera was crowned champion of the 18 and under category beating Patricia Calderón after having fallen down in the second set, could close the third by 4-3, 1-4, 1-0 (5). 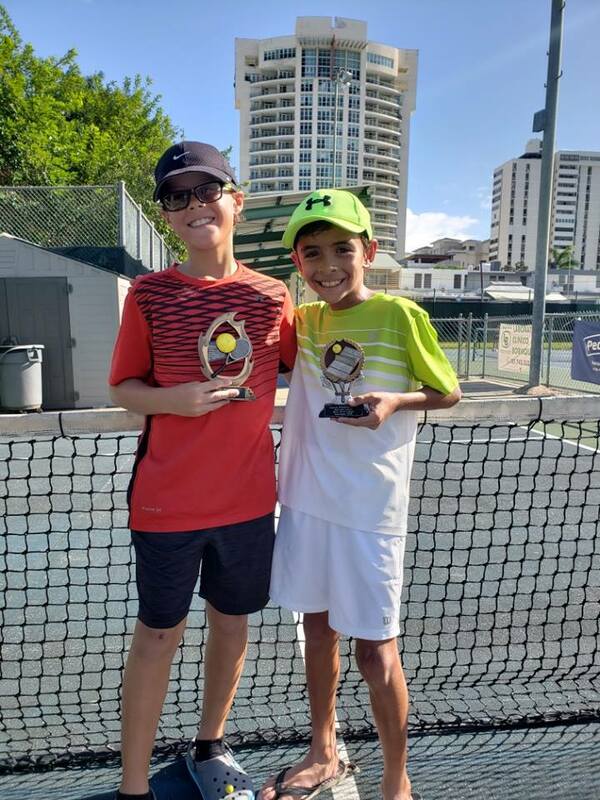 In the boys branch, the 10 and under Yimael Flores won against Miguel Quiñones with a score of 4-2, 4-2 while Carlos Hernandez defeated Gustavo Rivera 4-1, 4-2 in the category of 12 and under. 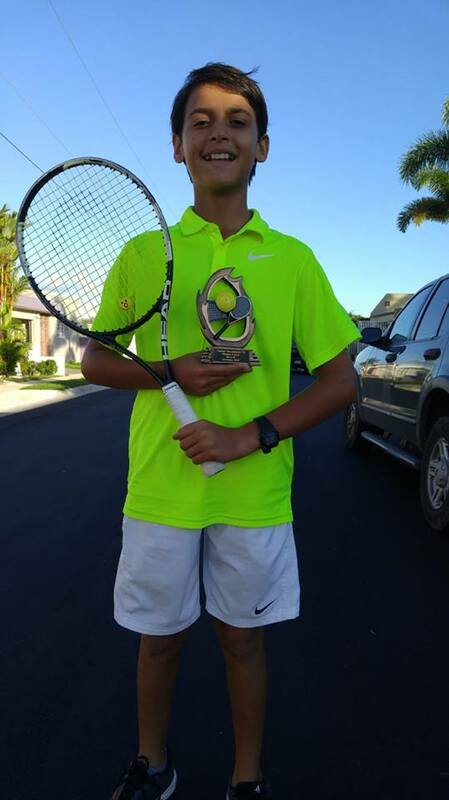 Guillermo Méndez in the 14 and under category managed to stop Juan Andres Sánchez winning in two sets 4-3, 4-2 and finally, Jan González was crowned champion of the 18 and under category by defeating Ignacio Zorrilla in the final for a fought score 4-3 4-3. This Development Tournament marks the end of the beginner and intermediate youth competitions in 2018. Next year, we will return starting from January 25 with the first Development Tournament in Encantada in Trujillo Alto. We thank the parents, coaches and volunteers who have helped make these events a success. 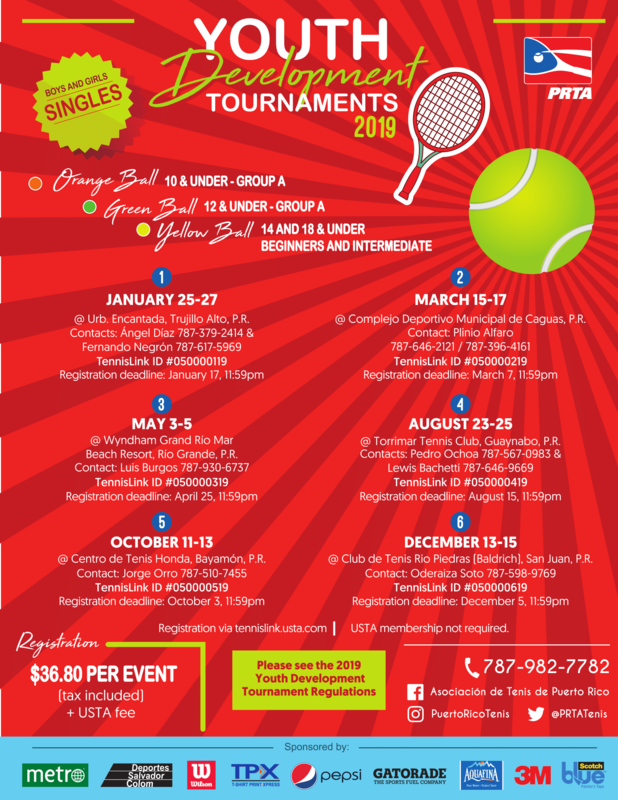 Thank you for helping us to keep growing youth tennis in the Caribbean.